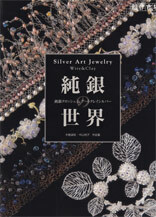 Art Clay Silver - is always the best choice among fine silver - modeling material! Art Clay has the smallest shrinkage among all Metal Clay - the most diverse range of products and silverclay - variants . At Art Clay find for every purpose the right product in the assortment ! • Art Clay Silver 650 New -> the new silver - standard with clay (modeling clay) , paste, syringe and with many advantages such as low temperature , more workable, dried carvable . • Art Clay Silver 800 ST -> with built in tarnish protection by 1% palladium in versions clay (modeling clay) , paste and syringe . • Art Clay Tools & Sets - > Paper Type (a paper from silverclay for folding and punching) , Oil paste (silver - Repair paste) , Overlay (the paining silver) and Corkclay (the modeling mass of natural cork ) .